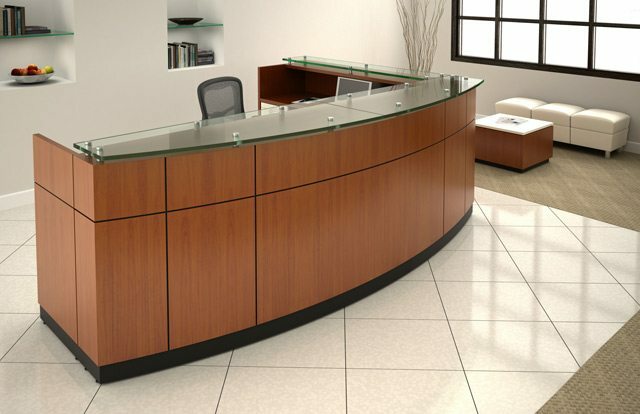 For reception and lobby furniture that makes a lasting impression with clients, 1 Source Office Furniture is your best source. The 1 Source team offers smart solutions to furnish reception and lobby areas in contemporary or traditional style. 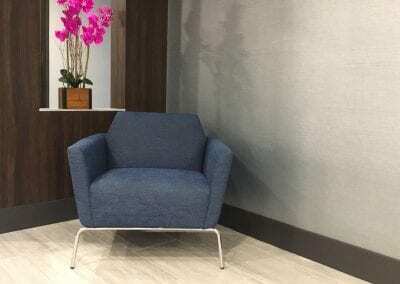 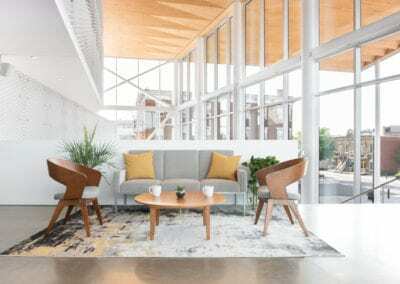 The logistics for furnishing reception areas can be challenging, with consideration for how staff and visitors will use the space. 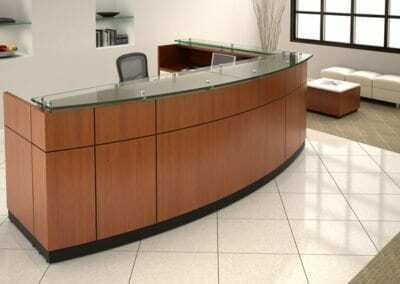 Our reception desks make administrative tasks seamless, with areas for mail, supplies, files, and more. 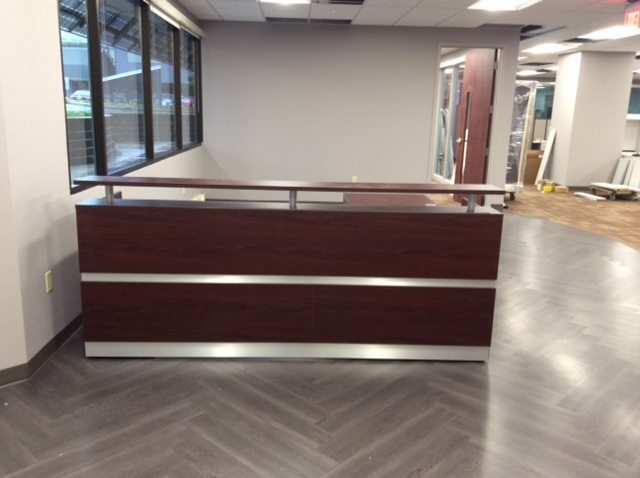 The custom look defined in your reception area should be integrated throughout the workspace. 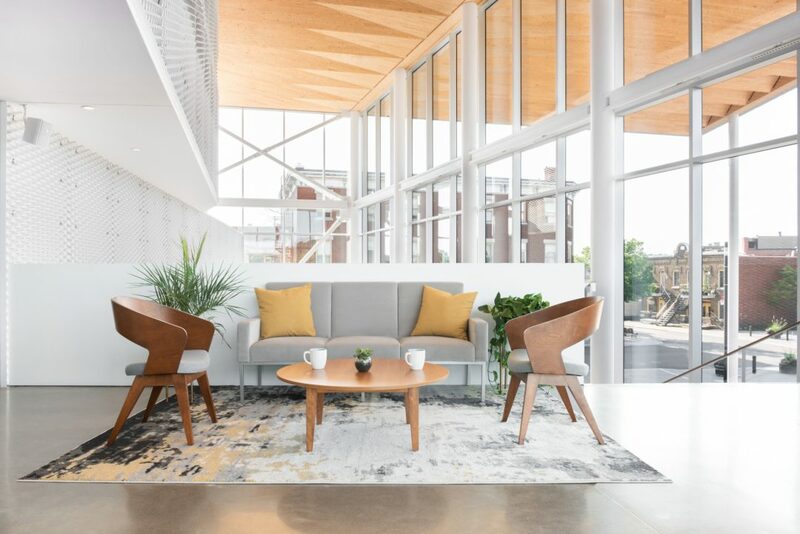 At 1 Source, we understand the needs of growing businesses and we know how to make every inch of the workspace work well for its occupants. 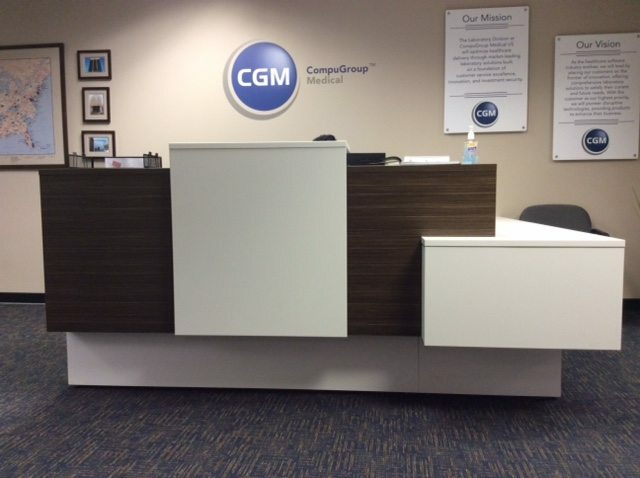 Our go-to source for custom size counters is LogiFlex, a Canadian manufacturer that blends smart function with bold, contemporary design. 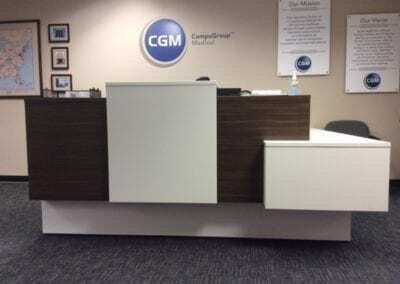 With dozens of finish colors and textures, brushed aluminum and glass, LogiFlex reception is an affordable product that looks high-end. 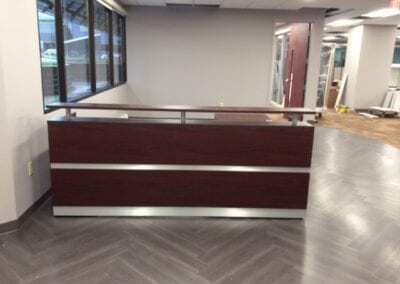 A well-designed reception desk has an elevated surface for mail, an ADA-compliant surface for guests in wheelchairs, and multiple solutions for storage. 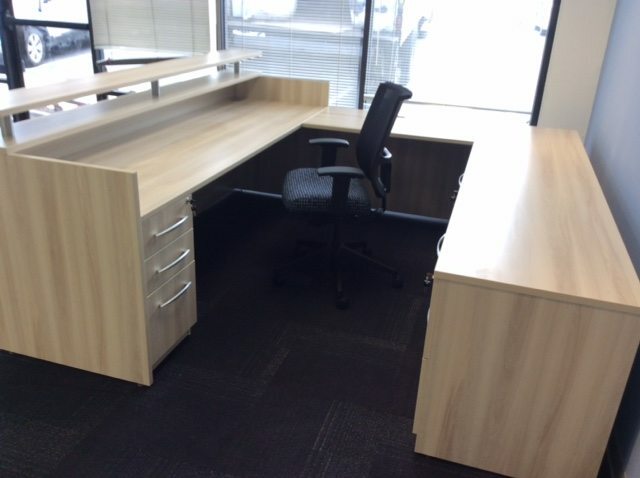 Remember to choose quality task chairs that look exceptional and are fully adjustable for the front office team.